Fifteen years ago today, Officer Stephan Gray, Badge 106, lost his life in the line of duty. Stephan Gray was the first and only Merced Police Officer to be shot and killed in the line of duty. On April 15th, 2004, Officer Stephan Gray initiated a traffic stop at East 19th street and Glen Avenue in the City of Merced. Officer Gray recognized the subject sitting in the front passenger seat of the vehicle as a gang member. As Officer Gray was conducting a search of the subject, the subject fled on foot from Officer Gray, Officer Gray gave chase. The suspect turned and fired a single shot at Officer Gray striking him above his bulletproof vest. 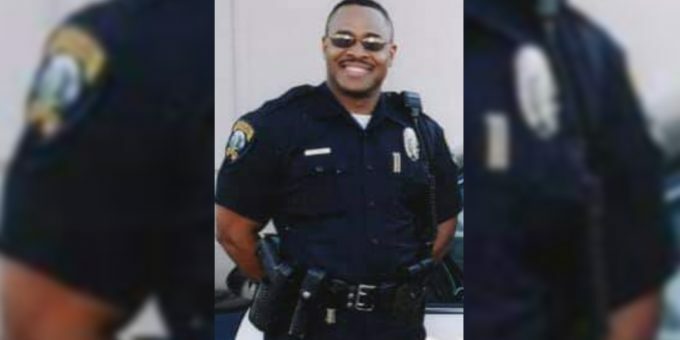 Officer Gray was rushed to the hospital where he later died of his wounds. After an extensive seventeen day manhunt, the suspect was found and arrested. In 2007, the suspect was convicted of first-degree murder and sentenced to the death penalty. Stephan was admired and loved by his Merced Police Department Family. They will never forget. Their thoughts and prayers will always be with the Gray family.